Facing History’s Teaching Mockingbird resource offers historical context, documents, and multimedia sources that deepen students’ reading of the novel, shedding new light on its characters and setting and reflecting the that reflect the marginalized voices missing from Scout’s narration. Watchman, too, introduces many key themes that Lee explores in Mockingbird, including what it means to “come of age” and what happens when we find ourselves at odds with our home and those we love. It serves as an opportunity to complicate – and deepen – our thinking about Mockingbird. Watchman alerts us to rich territory that is too often unexplored when we read Mockingbird, encouraging readers to reconsider the complexity of Atticus' worldview and to reflect on Harper Lee's vision of social change. As we read Lee's novel through the lens of our world today, we see that these questions of race, justice and social change remain very much unresolved. What do we do when we're not living up to our ideals in this country? Will we find justice by changing our laws or changing our own hearts? When our hearts and our laws are out of step? How do we change hearts anyway? As we enter 2016, these questions are front and center after a year spent grappling with race, violence and justice. Did you read Watchman? Did it change your understanding of Mockingbird? 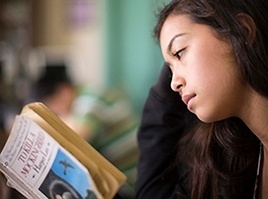 How has it informed how you teach Mockingbird to your students? Make sure to check out our Teaching Mockingbird resource, which will be promoted in all 645 Barnes & Noble bookstores across the United States throughout January. Select locations will also offer in-store workshops for educators, covering our resources around To Kill A Mockingbird, our new Go Set A Watchman lessons, and the American Civil Rights Movement. These workshops will be available during Barnes & Noble's Educator Appreciation Week from January 9-17 and throughout February as part of Barnes & Noble’s celebration of Black History Month. Contact your local Barnes & Noble bookstore for more information.